This post if for the Flash Fiction for Aspiring Writers (FFfAW) Challenge, run by Priceless Joy. This week’s picture was provided by Ady. The challenge is that you write a story of 75-175 words inspired by the photo prompt below. Here’s my entry. I hope you like it. His daughters had been so excited about visiting land, nagging him for weeks. He couldn’t refuse their pleas – they’d spent their whole lives on water, after all. He, at least, had known a time when most people lived on land. He’d seen cities sprawling amidst green fields, had travelled along tarmac roads. His children had never experienced that. He barely remembered it himself. He’d been nine when the water began rising, consuming everything in its path. His family all died in the flood. Only Arnesh survived, pulled into the boat that became home for the next decade. Experts predicted only low-lying land would be affected, that the water would stop. They were wrong. 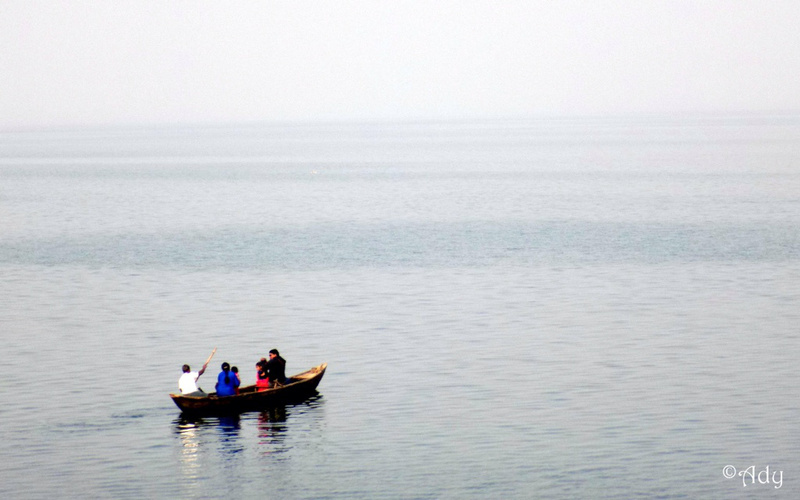 By the time he turned twenty over half the world’s population lived on the water. Villages on stilts sprung up wherever the fishing promised to be lucrative. Society shifted. So did its prejudices. The division between the people of the land and those of the sea was as profound as any found in the old world. His daughters discovered that today. To check out other entries or to add your own, click on the little blue frog. This story is partly inspired by a documentary I watched a few weeks ago about a nomadic seafaring community, the Bajau, who over the last fifty years have settled into more sedentary lifestyles. 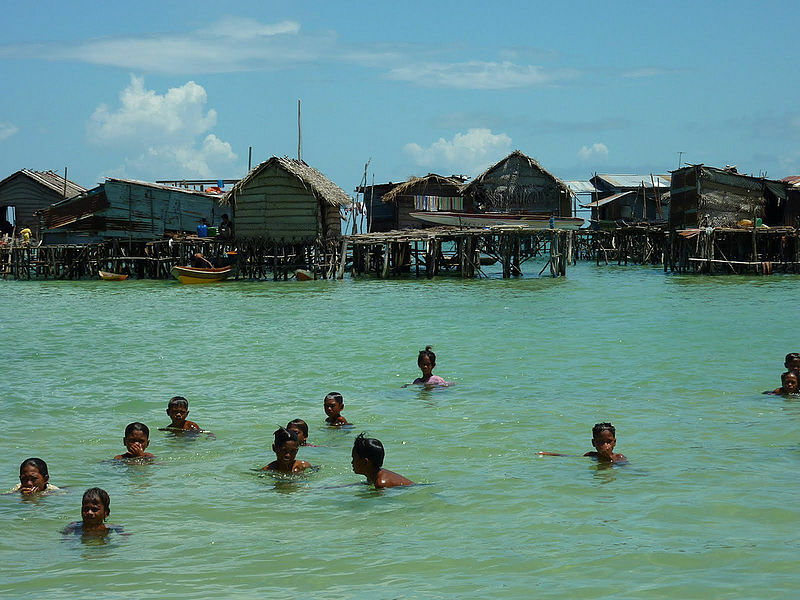 Many now live in villages built on stilts in the ocean. That’s sad. The girls finally got to go to land and found the land people were mean to the water people! Great story Louise! For awhile there I thought it was going to be about mermaids and I was going to ask if you saw that documentary on television about the body of a merman/mermaid had been found on the coast somewhere. Yes, it was very interesting. I think it was on the Discovery Channel. I enjoyed your story very much. I just happened to think of this merman documentary. This was a great take Louise. And in this age so true for many communities as the sea rises around them. I recall recently hearing it said that Bangla Desh is in line for inundation which would mean the millions who live there would be displaced. A worrying reality. Thank you. I’m glad you enjoyed it. It’s a very worrying reality with the potential for massive devastation all around the world. I live in the east of England and that would also be under water if sea levels rise. Its worrying isn’t it. You might have to make plans to convert your house into a coastal resort at some stage…. And prejudice and discrimination still rear their ugly heads after such devastation and display of survival. So sad for the family you focused on. This gritty tale rings with truth. Great job! I’ve read some of your flash fiction and other writings and I enjoyed a lot of them! They are quite creative and captivates my interest well. Thus, I’ve nominated you for The Creative Blogger Award! Cheers, and I hope to see your response soon! You totally had me headed in another direction with this story. I was thinking perhaps a joyful reunion, awe of hard ground and grass…but boom! Estrangement and prejudice. Poor girls; and a bitter pill for their dad. Is this the future? Nice take on a very plausible outcome. Uncomfortable, but nice told. I really enjoyed this. It’s good to know how other people live and the conditions they live in. We are so busy in our own little part of the world, we often times forget that not everyone has it so good. This was really interesting and creative. When you can’t use old prejudices any longer it’s time to make new ones! It’s what humans do. The glaciers are melting. The water levels are rising. Your story made me think of climate change. A fable for the future. And that people can a)deny it’s happening — all the pictures of the artic ice melting were photo-shopped or b) think humans have nothing to do with it. Yikes. It is scary when what would have been science fiction is now science fact. great story Louise – it reminded me of an article I read not long ago about a similar community in Indonesia about people who live and die on the water and never step on land..